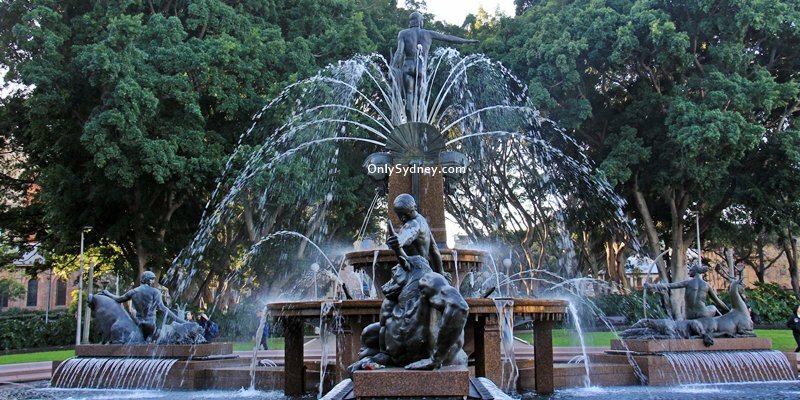 Hyde Park Sydney is the oldest public park in Australia. It is also one of the most well known parks. 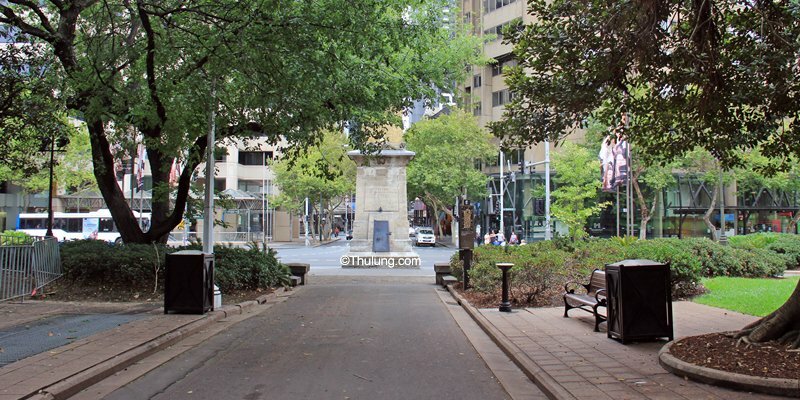 This 16.2 hectare park is in the heart of Sydney CBD, New South Wales Australia. There are plenty of green grass and open space to sit and enjoy the sun and lots of big, leafy trees and benches under the trees for those who prefer shade. Hyde Park is nearly rectangular in shape, squared at the southern end and rounded at the northern end. It is bordered by Elizabeth Street on the west, College Street on the east, St. James Road and Prince Albert Road on the north and Liverpool Street on the south. Park Street which runs east-west through the middle of the park divides Hyde Park into two sections, north section referred as Hyde Park North and south section as Hyde Park South. 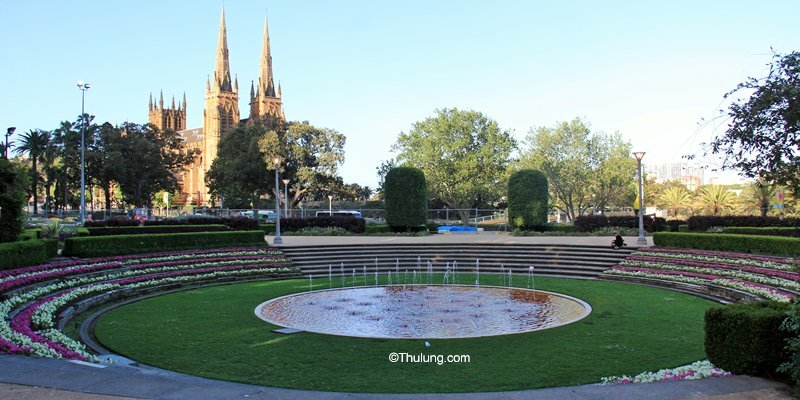 There are several monuments in Hyde Park like Archibald Fountain in Hyde Park North named after J.F Archibald, the owner and editor of The Bulletin magazine, who gifted funds to build the fountain. It attracts plenty of visitors, family, couple, children and newlyweds for photos around the fountain. 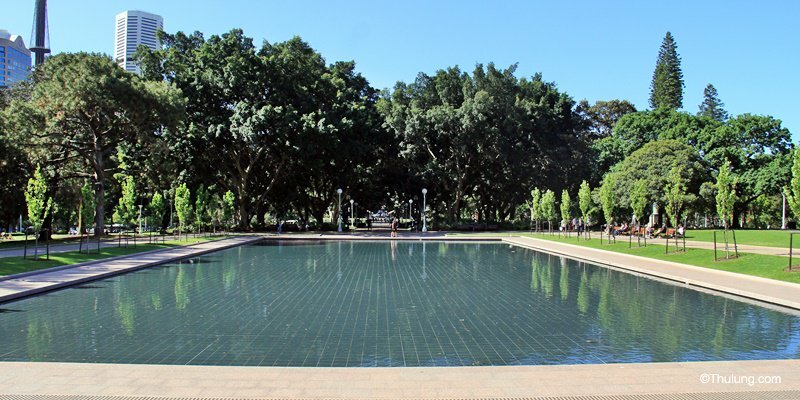 Make your way south-east to Sandringham Gardens, located on the eastern side of Hyde Park North, on the corner of Park Street and College Street. It was built as a memorial to King George V and VI. 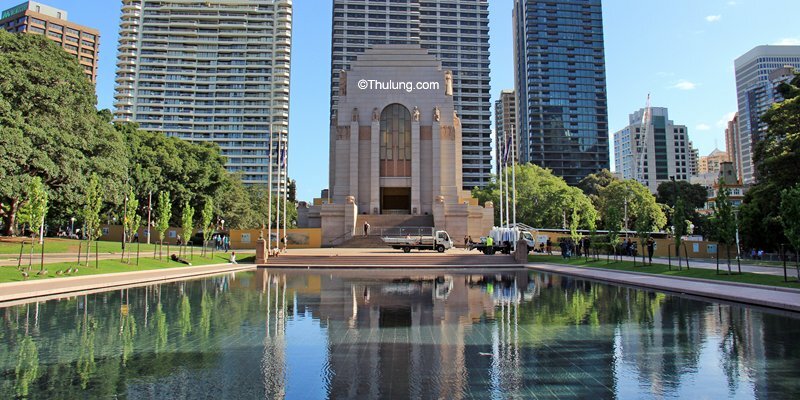 Hyde Park South is for those who love history, veterans and their families, where you will find ANZAC Memorial, Pool of Reflection, statue of Captain James Cook, Emden Gun and other monument and statues. Hyde Park also host Sydney Food and Wine Fair and other special events throughout the year. Hyde Park is open 24 hours with accessible public toilets. 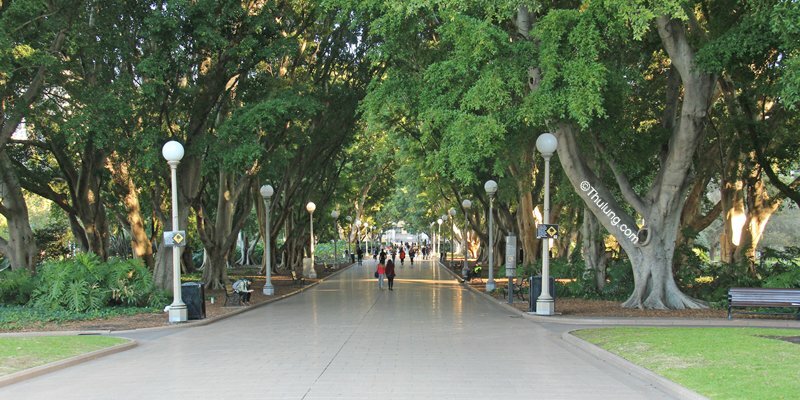 Hyde Park is just east of Sydney CBD easily accessible by foot with plenty of option and choices for public transport. Museum and St James train stations are beneath the park with plenty of bus routes to pick from as the park is surrounded by several major bus routes. Park is loved by many for running, walking and cycling with bike parking facilities. Around Hyde Park you will find Sydney Grammar School, the Australian Museum and St Mary's Cathedral to the east, Supreme Court of New South Wales, St. James Church, Hyde Park Barracks and Sydney Hospital to the north, David Jones and the CBD to the west and Downing Centre to the south-west. The park was named after the original Hyde Park in London, United Kingdom.